Into its own wide realms of space. There has perceived you now a godly being. The whirlwind of Term Four has caught us all up, and here we stand at the end of the school year. I have personally been caught up in the fun and excitement of many events large and small – soirees, plays, concerts, the magnificent Spring Fair – enough to keep all our heads and hearts spinning. This week, however, I was given an unexpected gift which reminded me of the calm, grounded centre of our School, which underpins all we do. I was asked to relieve Tobie in the Kindergarten for a short while during outside play. The children were just coming outside and I was struck by their open trusting confidence in approaching me, and their willingness and desire to actively engage me in their space and activities. I was given a special treasure – a crystal from the sandpit – and was quickly recruited to reach the highest mulberries from the fruiting bush. As I come to the end of my whirlwind year in the school’s transition, this was a beautiful moment to reflect on the elements which create such a safe learning environment for our children in the school to unfold and grow. 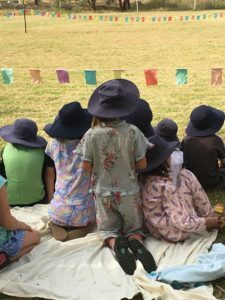 The rhythm of the day which allows the children to breathe in and out, the beauty of the environment which surrounds them, the human connections with each other and the adults in the community. From this arises the trust in themselves, and in others, and in the wider world. There is something to learn in that for us all. that whatever comes is given to us by a world direction full of wisdom. The heart of our School is strong. We are emerging – each and every individual, and the larger purpose of the school – into a new sense of who we are and what we strive to be. There is work ahead for us all. Its success will lie in our ability to keep reaching for the ideal within ourselves and in the School, to create and sustain the trust in ourselves and each other that we are working together towards creating this wonderful school. Thank you to all the staff, parents and Board members for your personal support of me through this year. It has been a privilege and a joy to work with you all – a gift indeed. My greatest gratitude however is for the children themselves and the lessons they can teach us, from their place of trust. I would like to leave you with my best wishes for the festive season and the school break, and also with another verse which has arisen many times for me this year, as I have reflected on the higher purpose of my work. We have been very busy in Prep, all our beautiful craftwork has been finished, we have celebrated our last two birthdays, and the children are making the most of their play times. In the mornings we are preparing for our Christmas Festival. What a wonderful, happy year we have had. The children have grown and learned so much. It has been such a pleasure to share this time with them. Christine and i send our very best wishes with them as they begin their journey through the school. Thank you to all parents for your help and support this year, with very special thanks to Kate and Jane our quiet, efficient and conscientious Class Carers. I look forward to celebrating our Christmas Festival together on Thursday 8th December 9-11 am. Painting folders will be sent home on Tuesday and Sleeping Sacks and spare clothes on Wednesday. Please be ready to assist your child to carry their things to the car. Please note that the meeting with Cathy has been rescheduled to Monday 5th December, 7.30-9.30 in the Prep Room. Best wishes for a wonderful Christmas and a restful holiday. We are very excited about our first Class Play on Friday and our small concert in the Botanical Gardens next Wednesday………. Thank you to all of our Parents for surrounding and supporting us to have a very special year beginning to build our class community – we look forward to Class 2 in a few weeks! A special thanks from all of Class One to Helen Jones who has been an amazing, joyful support in our class everyday. Have a wonderful, rejuvenating Christmas/Summer season with many special moments with your children, as I will with mine. We are well and truly into our last Main Lesson of the year “Time and Money” and this has tied in very well with Advent. The children have spent the week looking at how the sun and moon govern time. We have monitored the sun dial in the veggie patch, talked about a calendar month and how it changes depending on the moon cycle, and the children have created their own Advent calendar for the month of December. The children have thoroughly enjoyed this and are looking forward to being able to wear their watches to school starting from today! Next week we will move into money where the children will have little shops and begin to purchase items and work with giving change. Please remember that our class picnic is on this Tuesday at Lavandula. Please return your child’s form if you haven’t already done so. Also this week you are invited to come to our mini ensemble where the children will play some Christmas Carols for you. Thank you to all of your for your support and assistance throughout the year. 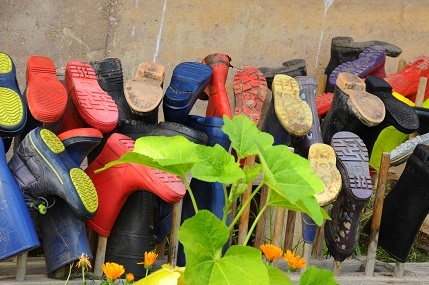 The children have had a busy but fruitful year with lots of adventures and personal growth. Class 4 has been looking at circles, 3 dimensional and 2 dimensional, within the classroom and out in nature. Now we are hearing about the movement of stars, leading on to making our own protractor with which we can measure angles more accurately. After circles, we shall be looking at the properties of triangles and quadrilaterals. 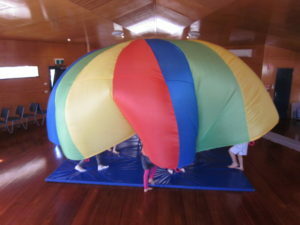 Next week is our excursion to visit our pen pal buddies from Briar Hill Primary School. Please remember to send a bag to school next week for 2016 work to be taken home in. We will need to clean our room for the up and coming Class 4, so if possible, please leave some time free to help out on the morning of Monday 13th December, our Moving Day. Thank you all for a wonderful year. We are all looking forward to our Class 5 year. 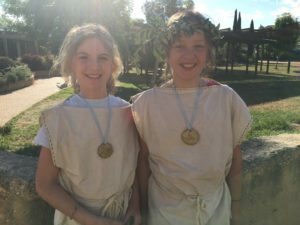 We had a wonderful adventure on Tuesday, visiting Ballarat Steiner School to participate in the Ancient Greek Olympic Games. It was lovely to meet children, teachers and parents from Ballarat and Fresh Water Creek Steiner Schools. Our children joined the competition with courage, honour and determination. We were fortunate to have Zeus to open the proceedings, and to present olive wreaths to champions in each sport. Our heartfelt thanks to everyone who helped to make the day such a success! We’ve enjoyed preparing for the games so much that we’re not quite ready to leave those sports behind, so you are likely to see us on the oval continuing to enjoy them! Thank you so much for your support this term. It was lovely to catch up with everyone who came to our Class Meeting and Parent Teacher Interviews. Wishing you all a lovely Christmas and a wonderful holiday! Class 7 continue to engage in every activity with enthusiasm and great gusto! Recently our class played their lovely string ensemble music to the senior residents of Penhall Hostel. Not only did they perform beautifully but they took time to chat with the folk there and graciously shared morning tea together. It was heart-warming to hear one resident comment that she felt Australia was in good hands in the future with young people like these. 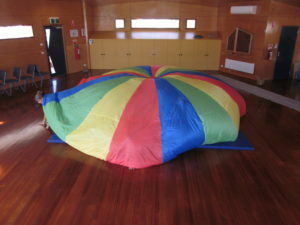 Our class only this week went on a ‘surprise’ excursion. 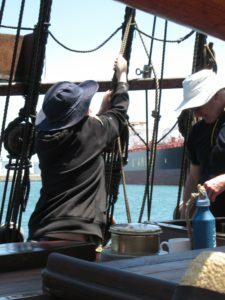 We ended up at Williamstown and went sailing on the Enterprize. 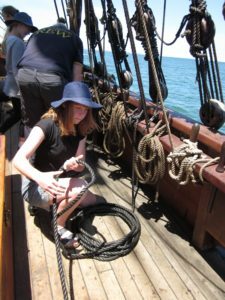 It was a perfect day for sailing and the students helped hoist sails and contributed generally to sailing the ship. 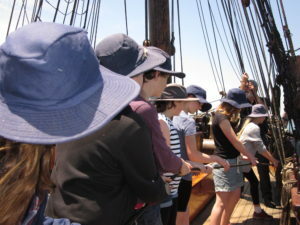 This was a great experience ad a fitting conclusion to our ‘Voyages of Discovery’ Main Lesson. The children have completed their major project for Class 7 and during the week will be presenting their projects with a talk. Like all work from this class the projects are of an outstanding quality. Do pop in and see them before the end of the year. We continue to work hard up until the very last day! It has been a great year for Class 7 and Year 8 will be even better! I too was deeply moved – holding back tears as the final piece completed, in utter love and gratitude for the students’ earnest beauty and accomplishments in Eurythmy. The way they dared to be in themselves, and united with one another, on stage in front of friends and family, in full activity of listening and ‘reaching’ for the music or poetry, the forms, and one another, was truly moving. If anyone has any photos from the evening, please take a moment to email them to the office; I was so involved in the present running of it all, I was not of the mind for record keeping! A few photos would be greatly appreciated. My deepest thanks for our time together – bringing Eurythmy to life here has been my greatest joy, passion, and at times – challenge! First, thanks to admin those few years ago for putting out the call far and wide for a Eurythmist, and choosing me to be the one. Thank you to Class Teachers and all supporting staff, supporting the students acceptance and journey through this utterly unique and essential art. And thank you to the students – for being your delightful selves, my most honest teachers, and making for such a moving time together. And behind it all, thank you to Rudolf Steiner for all the incredible work he did to lay the foundations for this education and the art of Eurythmy – how profoundly and positively his work has influenced my life, and so many others, throughout the world! Seeing the students in Eurythmy last night simply confirmed to me my understanding of why it was that when, in the first Waldorf school, it was necessary to cut back time in some subjects, Steiner explicitly stated that Eurythmy must not be one to go. What do you think? I hope at least a glimmer of its worth has shone through and touched your hearts in some way throughout our time together thus far. May the work here further continue and grow with pure intention and effective action to nourish and enkindle our human faculties and love of one another. The festive season is fast approaching and all things Christmassy have started to creep into our final French classes for the year! In Class One we are rounding out what has been a delightful year of chansons with a traditional children’s French song imploring Petit Papa Noel to leave a gift in our souliers – our shoes! As the children will explain, this is a Gallic variant on the tradition of Christmas stockings … and reminds us that small, home made gifts (that fit into our shoes when we leave them under the Christmas tree!) are a lovely celebration of the meaning of Christmas. In Class Six we have been playing a board game about seasons and weather, in preparation for making our cartes de Noel (Christmas cards) look festive. In Class Seven and Class Eight we will be exploring some traditions of French Christmas, such as the wonderful midnight feast of le Reveillon (the Christmas Eve vigil) with its roasted chestnuts and buche de Noel (Christmas chocolate log cake). And Class Five have had three lessons of introduction to French in preparation for our classes next year, during which time we played French bingo, listened to a French storybook and students constructed beautiful paper panoramas of the city of Paris! And so we say au revoir and wish everyone bonnes vacances and of course Joyeux Noel! 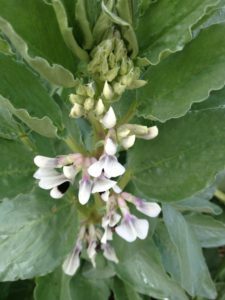 Harvest time has come and the vegetable garden is full of children eating broad beans. There were still enough left for Class 4 to add to their yummy salad which they cooked for lunch on Tuesday. As well as a tasty snack, they will provide a green manure crop to enrich our soil. You may notice some removal of vegetation around the hall. We are sad to be doing this but it is a requirement of our school registration that the hall (‘place of refuge’ if there’s a fire) be free of vegetation within a certain distance. Class 3 harvested lots of green things from our school vegetable garden to take on camp last week to add to their meals. 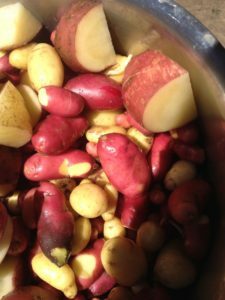 They also found lots of lovely potatoes at Amanda and Ryan’s farm which we had for lunch. Delicious! We come to the end of another year of joyful movement together. Classes 1, 2 and 3 have all developed confidence and increased their coordination skills. 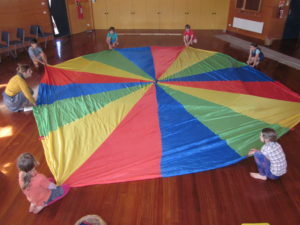 I have seen the children become more focused and careful as they work with the exercises. A favourite aspect of the classes is the ‘circuit’ time when the children follow a sequence of special activities setup around the room. It is wonderful to see them all getting into their bodies and finding balance and control. 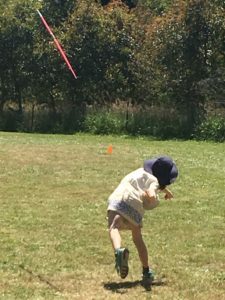 “Movement is an integral part of life from the moment of conception until death, and a child’s experience of movement will play a pivotal part in shaping his personality, his feelings, and his achievements. Learning is not just about reading, writing and maths. These are higher abilities that are built upon the integrity of the relationship between brain and body”. From The Well-Balanced Child by Sally Goddard-Blythe. I hope you all enjoy a lovely holiday season. Do you have an instrument that you would like to sell or purchase? We are happy to advise if you need. 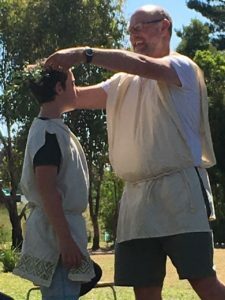 On Tuesday I had the privilege of heading to Ballarat Steiner School with our Class 5 students for the annual Greek Olympics. Freshwater Creek Steiner School also attended this wonderful day. After the opening ceremony and words of courage and wisdom from Zeus himself, children from the three schools were divided into four city states: Thebes, Athens, Corinth and Sparta. 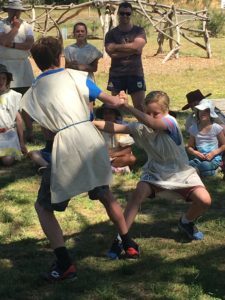 Each city state rotated between the four initial events, standing long jump, wrestling, discus and javelin, with the two best performing boys and girls progressing to the final stage held in the afternoon. Other team and individual events included sprints, relay races and the marathon. Between events and activities (including some Greek dancing thanks to Kosta) we were blessed with a plentiful supply of fruit and Greek food at lunch, which was thoroughly enjoyed by all. Many returned for seconds! It was just wonderful to see such devoted parents and staff working tirelessly to ensure the day was well catered for. In the afternoon, champions were to be decided with the finals taking place. All finalists participated with courage and honour, putting in their best efforts. Feats of sportsmanship shone through, especially in wrestling when opponents were brought to ground. The crowd cheered on merrily, providing encouragement and motivation for the competitors throughout. In the end, all participants were winners, but some stood above the crowd. 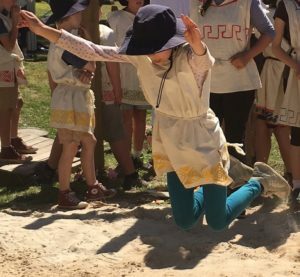 Congratulations to all who took part and well done to the following Castlemaine students who ended up the champion of an event: Bodhi in the wrestling, Pearl in the standing long jump, Amy in the javelin and Ava in the discus. At the conclusion of the day all participants were handed Olympic medals, which the children had made themselves during class time. It capped off just a wonderful day and experience! With the end of year fast approaching, I would like to take this opportunity to thank all the parents, staff and children at CSS&K who have assisted my transition into teaching Physical Education. We have such a wonderful, supportive community here! I wish you all a safe and joyful time over Christmas and look forward to seeing you all back here fresh and eager for Physical Education next year. Keep active over the holiday period and take care when in the sun. Has started to come along. Although I didn’t get much time teaching Spanish this term due to the birth of my beautiful daughter Eli (Spanish spelling for Ellie). We have been able to consolidate what we learned during the second half of the year. Now we are ready to forget so that next year we come back with great excitement to continue on with our journey. Have a great end of the year, Merry Christmas and a Happy New Year! We would like to thank Diana Brooks for her long service to the School as a Class Teacher and member of College. Diana joined us as Class Teacher in 2005 and has made a significant contribution to the School over the past 11 years, most recently as the teacher of the current Class 5. We wish her well for the future, and look forward to her continuing role as a member of our wider school community. As the year draws to an end the School would like to acknowledge the long service of Johanna Winchcomb to the School. Johanna has retired from her role as Teacher Librarian which she has held since the establishment of the position in 2003. We were very pleased to be able to acknowledge her as an Elder of our community at the Welcome to Country ceremony with Uncle Ricky and Ron Murray at the Spring Fair. We are so grateful to Johanna for her dedication to the children over many years, and to the wonderful collection which she has developed and managed. Best wishes to you in the next stage of your journey Johanna! 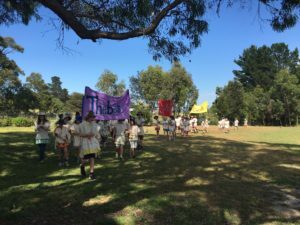 What a delightful journey I have had at Castlemaine Steiner School and Kindergarten. 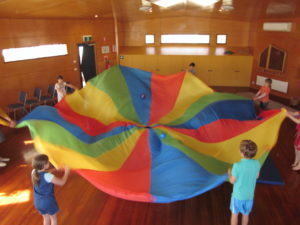 I have seen the evolution of the school from very humble beginnings 29 years ago, when in 1987, I was privileged to be one of a small band of enthusiastic parents who rubbed, scrubbed and nurtured Helen Seligman’s small mud brick studio in Barkers Creek, in preparation for our first Kindergarten class. Over the past years it has been exciting to watch the growth of the school from such small beginnings to such a vibrant and flourishing community that exists today. For the past 13 years I have again been actively involved in the schools’ development when I was employed as the first Teacher Librarian. Today the library houses a rich and diverse collection of over 70,000 titles selected to meet the needs of both junior and senior students. As well there is an extensive teacher reference collection and a small Parents and Friends Library. It has been a rewarding experience to build such an impressive collection and at the same time share the wonderful journey of so many beautiful children and families over the past years. Thank you to all parents past and present for this privilege. And finally thank you also to my peers and colleagues – past and present, for your support and encouragement over the years. I have been enriched deeply by my involvement with the school and I wish you all a journey as fulfilling as l have experienced. When I glance back, l smile as I recall many fond memories of our time together, and now l look forward in eager anticipation of the new adventures to come. What a beautiful Eurythmy performance we enjoyed this week! The centred poise of our Class 7 and 8 students was a joy to behold, and provided a perfect illustration and culmination of the love, dedication and skill which Nicole has brought to our School over the past three years. There were tears in many eyes. Nicole has brought a lightness and joy to the School, and will be much missed next year while she takes maternity leave. We wish Nicole all the very best the transformational year to come. 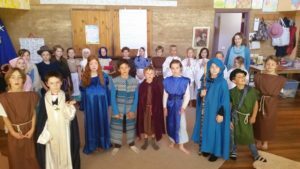 The School has not yet finalised the arrangements for Eurythmy in 2017. We will let students and parents know in the New Year. Alan joined the School in November 2013 as an administrative assistant. Over the past three years he has been an enthusiastic and active contributor to the administration team. He has also gone on to be an even more enthusiastic and active PE Teacher! Alan will be ending his admin role at the end of this term, where his helpful attitude and attention to detail will be missed, but we look forward to seeing him back in 2017 in his continuing position as PE Teacher. Helen Jones has been a quiet, gentle presence in the School since 2006. Her calm support has been felt by many – parents, teachers, staff – but most significantly by over 200 children who have passed through Class 1 over that time, where she has worked as Classroom Assistant. She will be greatly missed as she sets off on her new journey into “retirement” – which we are sure will the opening of another wonderful chapter for her, but we look forward to welcoming her back as a cherished alumna in the future. Thank you to those who have already placed gifts of non perishable foods under the Giving Tree for passing on to the Salvation Army for distribution to local families in need. The Giving Tree will be in the office until the last day of term. On the final day of school before Assembly, the Craft Group and the Parents & Friends will host a stall to give parents an opportunity to buy items made by other parents. We will also have some beautiful donated baby clothes, a high chair and a booster car seat available, as well as some second hand books. As we begin our celebration of the Advent season, we have an opportunity to remember those close to home who may be in need of support. 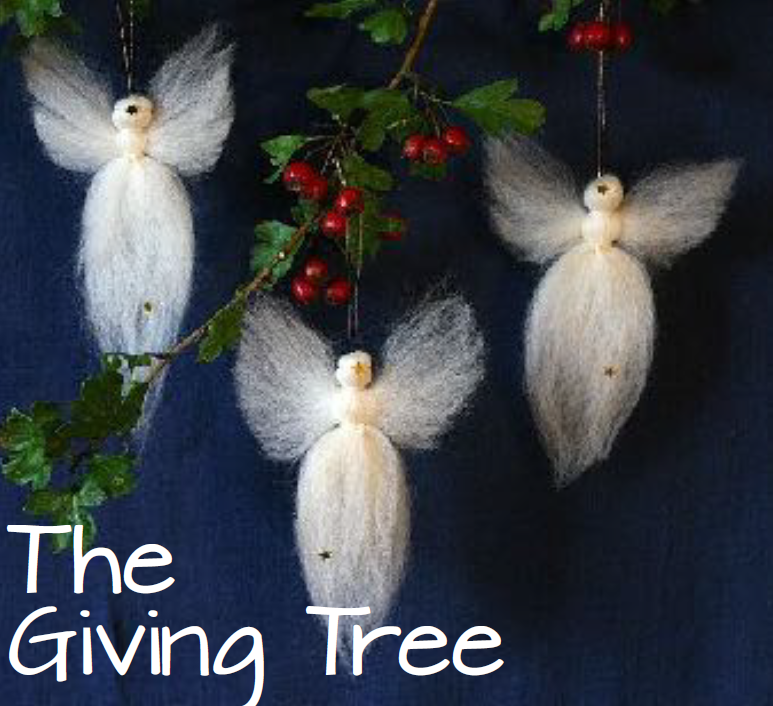 The Giving Tree will be in the office foyer until the end of term. Families are invited to bring a gift of non-perishable festive food to place under the tree. These items will be added to the Salvation Army’s Christmas hampers for local families in need. Thank you for your support. On Monday November 21st the school marked International Children’s Day (Nov 20th) by hosting a ‘pyjama day’ to raise money for the 1Day campaign run by locally based charity Orphfund. 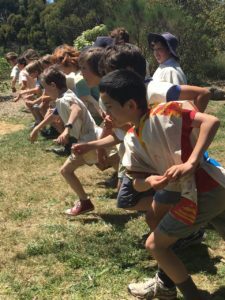 The morning was filled with all the children thoroughly enjoying the traditional spring games including egg and spoon race, sack race, three-legged race and the class 7 and 8 tug of war to finish off! The wonderful and unique thing about Orphfund is that it is based on a foundation of passionate volunteers so they are able to send 100% of the donations to directly support some of the worlds poorest children. The 1Day campaign is run every year to raise much needed money to help children around the world that are less fortunate than us. Money raised goes directly to children across Africa to help build new schools, repair existing ones, provide learning materials and equipment and help establish school feeding programs. Thanks to the generous gold coin donations our school raised a wonderful total of $156!! The parents and friends committee contributed some extra taking our total donation to $200!! Awesome effort everyone! 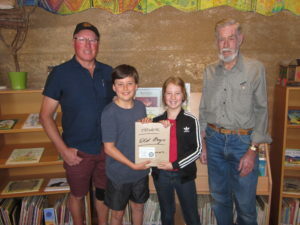 Castlemaine School Old Boys presented the school library with $100 worth of books. Ruchi & Mietta received them on behalf of the school. We have a collection of tupperware and other containers at the office belonging to parents. Please pick up these items up before the completion of the school year. Signed copies of “Poppy’s Flying Adventure” available for $25 each. Contact Gabrielle on 0417 024 712 if you want to purchase one before Christmas. This Saturday 3 December, please join us for our first ever Castlemaine Circus Inc. Showcase. It will be wonderful fun! An afternoon of Circus Skills, Performance and Play from our diverse students and their trainers. Ice cream and a BBQ will be available after the show.